GM vehicles used two different OBDII protocols through the years, so you may be wondering which set of protocol dependent XGauges are correct for your vehicle. You can view what protocol your vehicle uses via the ScanGauge by following the instructions to the right. We’ve also put together an outline of what protocol your vehicle may use based on it’s model year. Select your vehicles model year below to see a list of what protocol your vehicle may use. Between 2003 and 2007 GM began rolling out the CAN protocol to their vehicles. Thus vehicles between 2004 – 2007 may use CANSF or the VPW protocol they typically used from 1996 – 2002. 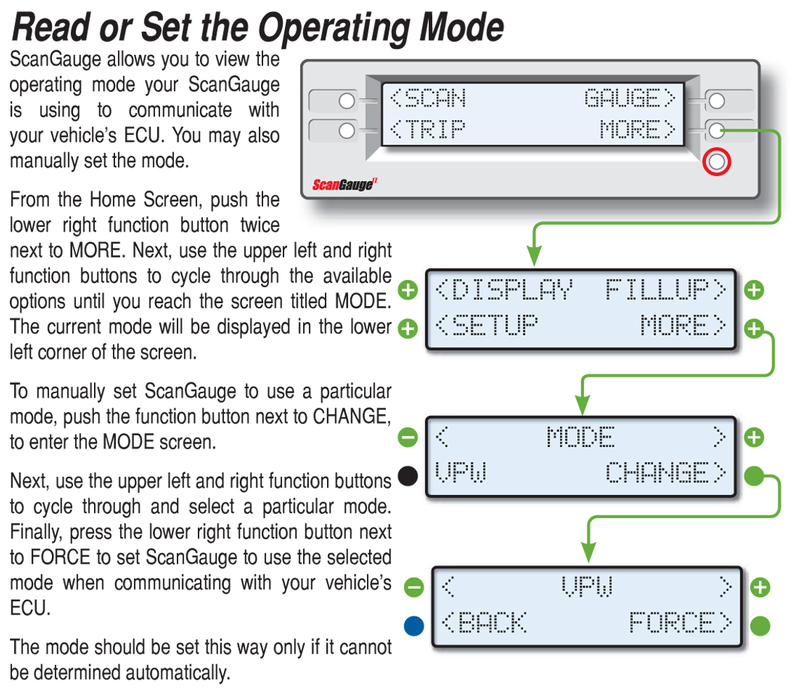 These XGauge codes apply to any GM vehicle that uses the CANSF protocol. Some 2004 - 2007 GM vehicle use the CANSF protocol, while all 2008 and newer GM vehicles use the CANSF protocol. The 6.6L Duramax LBZ's applications included the 2006 - 2007 Chevrolet Silverado HD, GMC Sierra, HD, Chevrolet Kodiak, and GMC TopKick (the Kodiak and TopKick being medium duty truck models). The 6.6L Duramax LMM's applications included the 2007-2010 Chevrolet Silverado HD & Kodiak Medium Duty (LYE & LRX Option) as well as the 2007-2010 GMC Sierra HD & TopKick Medium Dity (LYE & LRX option). The 6.6L Duramax LGH's applications included 2011-2012 Chevrolet Silverado/GMC Sierra 2500/3500 chassis cabs as well as 2011-Present Chevrolet Express/GMC Savana 2500/3500's. The Duramax L5P replaces the outgoing LML for the 2017 model year Chevrolet Silverado and GMC Sierra HD pickups. The 2.8L Duramax LWN's applications include 2016 and newer Chevrolet Colorado and GMC Canyon midsize pickups. Have a question about our GM XGauges? Feel free to contact us using the form below.